Paul has already built one of Flyhawk’s earlier ships – the German “Lutzow” in 700th scale, and now he tackles a similar vintage new model from Flyhawk – the HMS “Hermes” aircraft carrier. Let’s see what’s in the box before he gets to putting the plastic together in his build…. Laid down in 1918, the HMS Hermes was the world's first ship to be specifically designed as an aircraft carrier, rather than the previous carriers where the carrier deck was placed onto an existing hull. 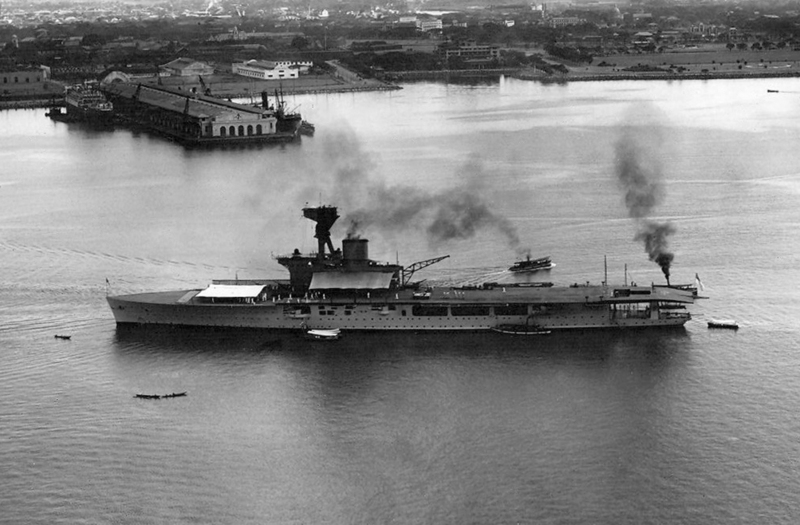 While she was the first carrier launched, delays to her construction meant that she would not get the distinction of being the first commissioned carrier. 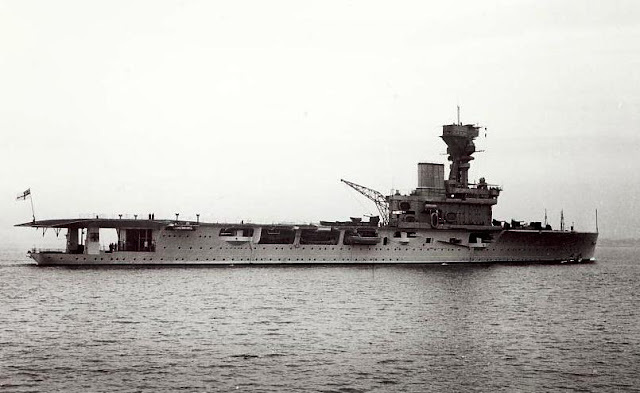 Serving around the world from the Atlantic, to the Mediterranean, and the China Station between the wars, the Hermes would see action during the first few years of the Second World War against German and Vichy French forces around Europe and Africa, before being deployed to the Pacific where Hermes would ultimately meet her end of modern day Sri Lanka by Japanese dive bombers in 1942. While I'm not usually a ship builder, but I do have an aircraft carrier listed on my modelling bucket list, so after being highly impressed by Flyhawk's SMS Lutzow, it wasn't a hard decision to accept the Hermes when it was offered for me to review. The kit comes in Flyhawk's sturdy box with a cardboard partition to separate the longer hull parts from the smaller detail sprues. Each sprue is individually bagged except for duplicated sprues and some of the smaller sprues. 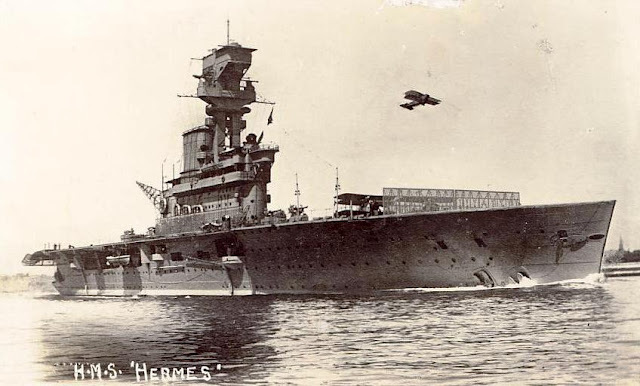 There is a card with the box top artwork of the Hermes on its final voyage under attack from Val dive bombers on one side and ship data on the other side. The instruction sheet comes in a small glossy vertical pamphlet and is composed of line drawings with colour callouts for the parts relevant to that construction step. Sprue A is the upper section of the hull, is detailed on the outside and inside. The surface detail on the hull is very well moulded and looks amazing, although the interior detail will be pretty much impossible to see once it is all closed up. Sprue B is the carrier deck, and sprue C is the lower portion of the hull. Again, the parts look nicely formed and a dry fit of the lower hull to the upper portion shows pretty much a perfect fit. The carrier deck features detail on both sides, but once again, the underside will be very hard to see once the hull is all closed up. Sprue D is the interior deck of the carrier which will be visible through the cut-outs on the side of the hull and also has the deck elevators which like the main deck, feature detailing on the undersides, and being separate, might be able to be posed in a lowered position which I'm planning on finding out. Sprue E is the underside of the rear portion of the carrier deck. Sprue F is a baseplate option if you decide to do a waterline option although the box top only mentions this as a full hull kit. Unfortunately, the tip of the baseplate was bent as you can see, but this is not a difficult fix. Sprue G is an insert for the hull to show the interior sections that will be visible through the cut-outs on the hull. Sprue H is a smaller sprue with some very nicely formed guns, and sprue I has some details for the island. Sprue J is the island itself, and again the surface detail is outstanding. You get three copies of Sprue K which are some very delicate shields for the guns, and while I was initially surprised that they weren't provided in etch, the shields are fully enclosed like a turret and won't be visible from behind so they will be quite acceptable. There is no Sprue L so there will probably be another version in the works, but Sprues M, N and O are all details on top of the island. I'm not 100% familiar with the appropriate names so don't quote me on them, but the two exhaust stacks that are inside the funnel on sprue N are drilled out and will look great inside the funnel itself. Sprue P has an assortment of details on the ship including the propellers. I know I've mentioned this already, but the mouldings on this kit really are amazing, and the detail achieved on such tiny pieces is incredible. Sprues Q, R and S are more assorted details throughout the ship including the crane. While the crane does look quite good, a photo etch alternative is provided, and unless you are fairly new to PE or just that averse to PE, there really is no comparing the plastic to PE crane. There are three sprues joined together all prefixed by GB and listed as numbers 15, 19, and 28, which I assume are for items specific to British ships. Again, I'm not 100% certain on the names of these particular parts, but the lifeboats on GB15 look great. A small bag holds three sprues again prefixed as GB with numbers 01, 02, and 03 which again suggests they are specific to British ships. An interesting design to key the sprues is a nice way of protecting these minute pieces from damage in the box, and again, the mouldings are incredible and feature the anti-aircraft gun and searchlights. A fret of photo etch is provided, and as you can see, the PE crane option is streets ahead of the plastic one. 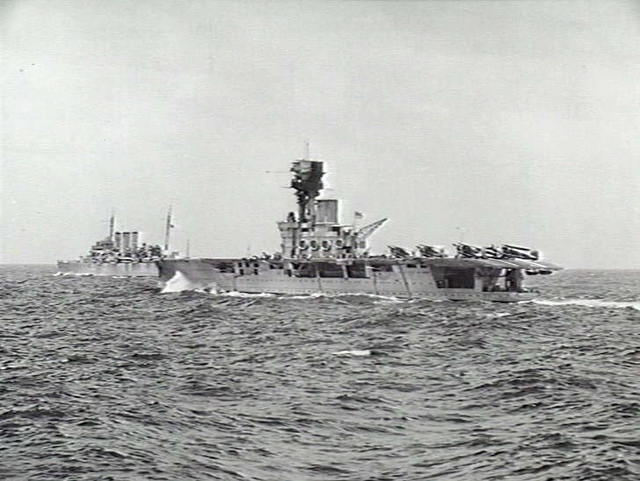 Half of the fret is also dedicated to the propellers and bracing for the Swordfish torpedo bombers that the Hermes carried onboard. While the bracing looks great, I do have some reservations about how visible the rigging would be in 1/700 scale, and whether even PE would look overscale, but only time will tell. The decal sheet gives markings for the carrier deck and roundels for the Swordfish. The roundels are absolutely tiny and seem to be printed in register, although one appears marred by a small black dot but is extremely hard to spot. A metal weight is also provided for the waterline option to help keep the model on whatever it is standing on. Strangely, Flyhawk has not provided a simple stand, to help display the kit for when it is modelled with the full hull option. Lastly, four sprues of Swordfish torpedo bombers are provided in the kit with parts for two aircraft per sprue so you get eight aircraft in total. Once again, the parts are very well moulded and you get the option of folded or unfolded wings. Plastic propellers are provided, but a PE option is also provided as mentioned earlier. After going through the contents of the box, I initially thought Flyhawk had made a bit of a howler by forgetting to include painting instructions for the kit however, after literally thinking outside the box, I found the painting instructions on the underside of the box. The colour names are provided in English, Japanese and Chinese, and paint equivalents are given for Gunze, Tamiya, and WEM paints. The colour of the Swordfish is shown in green and brown which seem wrong to me, but the colours indicated are Dark Grey, and Dark Slate Grey so it could just be the wrong colours being printed. I was highly impressed after putting together the Lutzow, and my first impressions of this kit are just as impressive. The mouldings and surface detail on this kit look absolutely amazing, and the Swordfish torpedo bombers with the PE provided in the kit should make this an outstanding looking ship out of the box. I'm really looking forward to this one. Thanks to Flyhawk for the kit to build and review.